You’ve just woken up, exhausted, after another horrible night’s sleep. You rush to get ready for work, desperately gulping your coffee, and barely make it out the door on time. Sound familiar? Like many other adults, you probably haven’t been getting enough sleep, or you haven’t been sleeping very well. This is extremely common in today’s society, and these sleep problems take shape in the form of sleep disorders. Despite the importance of quality sleep, sleep disorders are more common than ever among adults of all ages. These sleep disorders can take several different forms, and have a wide variety of causes – but all of them result in disruptive or low quality sleep. 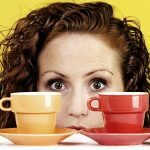 One of the most common sleep disorders is excessive daytime sleepiness – nearly 20% of adults suffer from this sleep disorder.1 You may be one of them if you struggle to stay awake during the day, and often feel a low level of energy, motivation, and awareness (regardless of how much you have slept). This is caused by a wide range of behaviors, including lack of physical exercise, consumption of certain medications or drugs, and depression or other underlying conditions. Another common sleep issue is known as sleep disruptive behaviors. This may consist of sleep walking, sleep talking, sleep paralysis, or night terrors. These unusual behaviors keep you from remaining asleep throughout the night, and are disruptive to the usual sleep cycle. Insomnia, one of the most well-known sleep disorders, takes place when you can’t fall asleep at all. You may suffer from insomnia if you routinely toss and turn for hours before falling asleep, if you sleep at all that night. Insomnia can be caused by a wide range of medical conditions, from allergies to asthma to chronic pain. Insomnia is also a frequent symptom of depression or anxiety. Finally, a disruption of the circadian rhythm is another common sleep disorder. If you have a hard time sticking to a sleep schedule, or struggle to wake up in the morning or go to sleep at night, you may have a disrupted circadian rhythm. This means that your body is confused about when to sleep and when to stay awake – you may find yourself frequently napping throughout the day, or wide awake in the middle of the night. Caused by rapid time zone changes or other frequent changes to the environment, this disorder makes it extremely difficult to maintain a regular schedule. With all these different sleep disorders, it’s no wonder that many people have a hard time with sleep. But it’s not that big of a deal, right? Nope. Sleep is easily one of the most important factors in maintaining your health, keeping a positive, mood, and remaining productive throughout the day. Sleep is one of the most important factors in maintaining a healthy lifestyle and is also one of the most overlooked. In the middle of our fast-paced, busy lives, we don’t always give sleep the attention it deserves – sleep and other self-care habits are usually overlooked in favor of your job or your family. While all these things are important, the truth is, sleep is just as important to your body as breathing or eating. There’s a reason that sleep disorders are strongly linked to depression. To remain positive and productive, it is essential to get quality sleep. A good night’s sleep can completely change your mood around; you’ll feel more optimistic, productive, and happy as you go through your day. 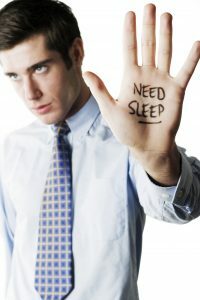 A lack of sleep or disrupted sleep will cause you to feel irritable, short-tempered, and drained. Out of the two, which do you prefer? Whether you’re trying to focus at your job, pay attention in school, or get the most out of your workout, sleep is a determining factor in every aspect of your day. Sleep affects more than just your mood – a good night’s sleep can improve your memory and focus, which is kind of a good thing when you’re trying to get some work done. Sleep can also affect your stress or anxiety levels; the more sleep you get, the less anxious you are likely to be. Sleep gives your body some much-needed calm in your day, and when it gets disrupted, you’re likely to feel anxious or upset. So, if you’ve been struggling to prioritize sleep in your life, think of it as a way to “recharge” your body for the next day – when you focus on maintaining healthy sleep habits, you’ll be happier and more productive throughout the day. Ready to change your sleep habits? Now, instead of pushing the “snooze” button like usual, imagine waking up from a long night’s sleep, feeling healthy, rested, and ready to start your day. At :DSleep, our mission is to use advanced technology and therapeutics to help you get the best sleep possible. We provide a safe, effective, and affordable alternative to traditional sleep treatments with our product, the SR1 sleep device. This device emits a weak pulsing electromagnetic signal to mimic normal brain patterns, encouraging natural, quality sleep. When you have trouble falling asleep or achieving quality sleep, the frequencies of the brain are not in rhythm to support sleep. 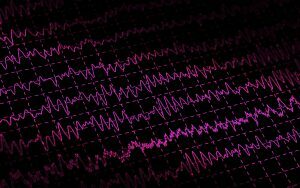 To help the brain recall these rhythms, the SR1 sleep device mimics the sleep frequencies naturally produced in the brain. In short, promoting healthier sleep patterns is one of the best things you can do for your body. Sleep is important for your health, mood, and every aspect of your life, but is commonly interrupted. Despite the busy lives we lead, it is important to make quality sleep a priority; using the SR1 sleep device, you can improve your sleep habits and encourage a good night’s sleep. Once you begin prioritizing your sleep and improving your sleep habits, you’ll see the benefits and enjoy a healthier more vibrant approach to life. Slater G, Steier J. Excessive daytime sleepiness in sleep disorders. Journal of Thoracic Disease. 2012;4(6):608-616. doi:10.3978/j.issn.2072-1439.2012.10.07.